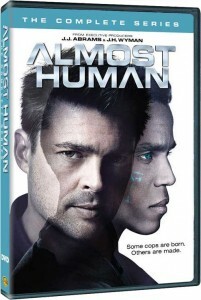 Warner Brothers has released Almost Human on DVD, today, without any prior announcement that I have seen. In fact, it’s been released via the Warner Archive Collection, meaning it’s a video-on-demand title. Starring Karl Urban (the “Star Trek” and “The Lord of the Rings” franchises) and Michael Ealy (“Sleeper Cell,” “Common Law”), the new series is set in 2048, when police officers are partnered with highly evolved human-like androids. “Almost Human” will follow the week-to-week missions of John Kennex (Urban), a detective and sole survivor of a devastating police ambush, and his robot partner, Dorian (Ealy), as this buddy-cop duo solve cases and fight to keep the lid on dangerously evolved criminals in this futuristic landscape. Almost Human looks like a show with the potential to be another Alias or Fringe from J.J. Abrams and J.H. Wyman. Now Fox is giving Almost Human a special two-night launch! It was originally scheduled to premiere on Monday, November 4. 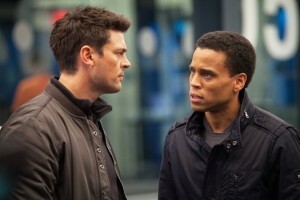 Almost Human will now debut on Sunday, Nov. 17 after Sunday Night Football. The second episode will air the following day in its regular timeslot at 8/7c preceding Sleepy Hollow. Almost Human is set in a future in which LAPD officers like John Kennex (Karl Urban) are partnered with highly evolved human-like androids like Dorian (Michael Ealy). Bones will continue to air with Sleepy Hollow for an additional two weeks before moving to Fridays on Nov. 15. Fox and Eventful have announced a contest to bring an exclusive free screening of the premiere episode of the new series “Almost Human” to three winning cities. Vote today! BRING THE FUTURISTIC THRILL-RIDE OF “ALMOST HUMAN” TO YOUR CITY! 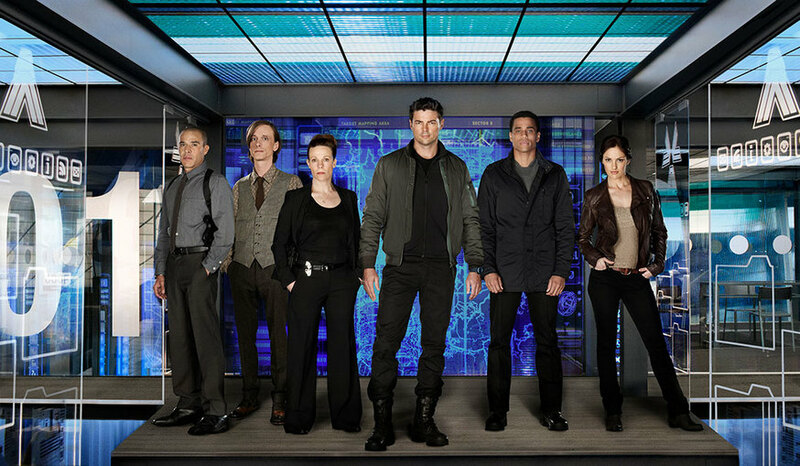 J.J. Abrams spoke with The Wrap about the upcoming TV series, Almost Human. “The future lets you tell a story that’s not quite anything you’ve seen before,” executive producer Abrams says. Abrams’ interview has inter-cut scenes from the debut episode of the new Fox drama and behind-the-scenes footage from the set. The “Lost” co-creator is fascinated by the possibilities offered by a story set three decades from now. 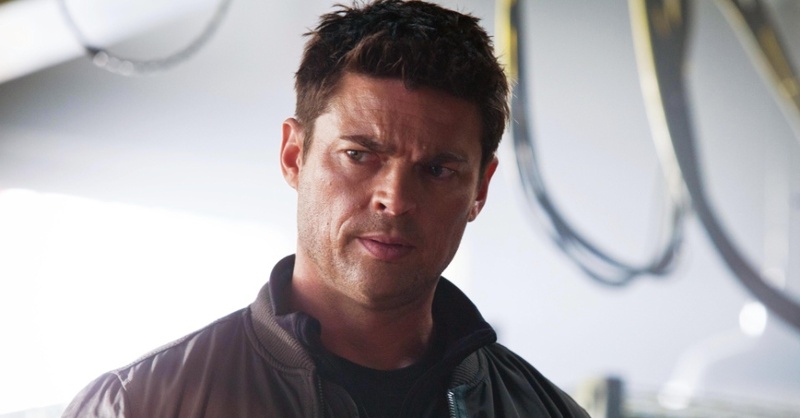 “Almost Human” stars Karl Urban (The Lord of the Rings, Star Trek, Star Trek Into Darkness) as human cop John Kennex and Michael Ealy as his not-so-human partner, Dorian. 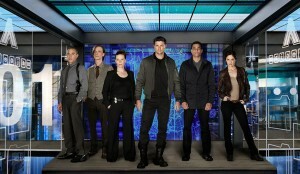 J.H Wyman, the executive producer of “Fringe,” penned the pilot and executive produces. 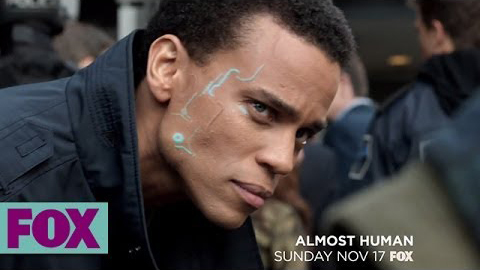 “Almost Human” premieres Monday, Nov. 4 at 8/7c on Fox.